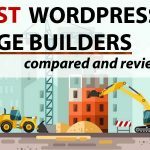 In the world of CMS, WordPress reigns supreme, with its ease of installation, irresistible price tag of zero, and huge collection of plugins. However, it’s not the ideal CMS for everyone. 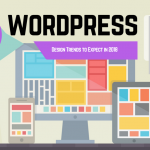 Saddled with an increasing large code base, WordPress is increasingly seen as a clumsy behemoth, inefficient and prone to security hacks. For people with simple sites and blogs, it’s worth considering a different type of CMS altogether, namely, a flat file CMS. 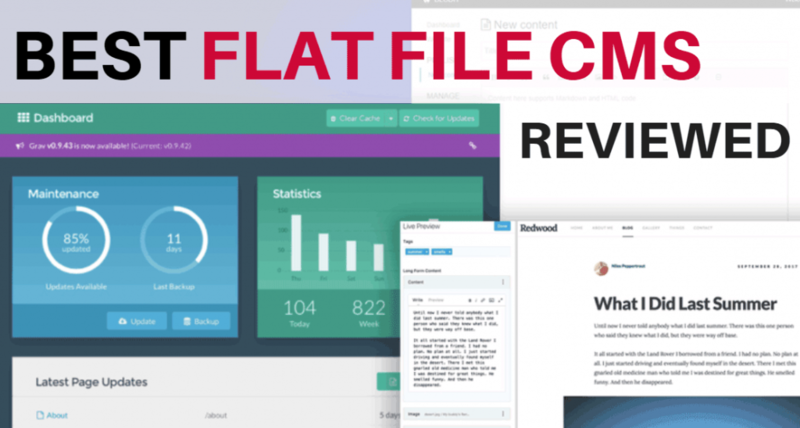 Unlike traditional CMS that are database powered (such as WordPress), flat file CMS uses none, and instead stores its contents using files instead. This type of archetitecure yields distinct advantages. Why use a Flat File CMS? Installation and deployment is much easier, without the need to setup a database. Usually just a FTP client is needed. Scales well even on shared hosting, with much fewer resource demands. No database queries. Easy to migrate from host to host. Just transfer files over. Generally more secure, with less entry points for attacks. Robust version control using GitHub. Initial learning curve to grasp templating and style languages commonly shared by flat file CMS, most notably Liquid, Twig and Markdown Language. For very large sites with hundreds of thousands of pages, doesn’t’ scale as well as database CMS. Of course, these characteristics vary depending on specific flat-file CMS. Let’s take a look at the eight of the best open source and commercial flat file CMS that are relevant in 2017 for you to pick from. Grav’s platform offers one of the most powerful, feature rich flat file CMS right now on the market. Content creation, in particular, is especially enjoyable using Grav. Intelligent content caching takes Grav to the next level in terms of speed and resource allocation. It’s easy to forget you’re using a flat file CMS when working with Grav. It supports custom taxonomies and fields to categorize and present your content in a variety of ways. Taking advantage of its file based system, backing up and restoring Grav is intuitive and a one click process. Kirby is one of the few flat file CMS on this list that cost money, though it justifies that cost in our opinion. Content can be manually created as text files and uploaded to the server, or using the Kirby Panel, which provides a great UL for administering content. Kirby supports custom user roles and permissions. Its jQuery inspired API is both powerful and intuitive, letting you access every bit of data and site settings within the templates. When writing your content, you can use an editor with plain Markdown or Kirbytext, which is a special, extended version of the former. Edit site content as text files. Metadata is defined using YAML. Pico is a blazingly fast flat file CMS for developers. Installing Pico requires a bit more technical skill than just uploading some files, though the trade off is a highly polished, secure CMS. It uses Twig and Markdown for theming and content formatting, respectively. The beauty of Pico is in its simplicity. Everything about Pico is realized through text files. Pico’s main configuration is defined inside a single text file, and to create a new page, you make a new file. That’s it. Very easy to install and set up. Upload a zip file and run the bludit installer. We love Bludit’s clean, elegant default themes and intuitive admin panel. Content is added inside the admin panel, as either regular HTML if that’s your cup of tea, or Markdown instead. Themes in Bludit can be created using any framework you like, such as Bootstrap, Kube, Pure.io, Skel, Less, etc. They provide a powerful API setup and include a selection of plug-ins for third party integrations like Google Charts, Summernote and Toggle. Capabilities like creating users, admins and editors for your site are also handled with ease. Upload images and arrange them in dynamic galleries for standalone use or inclusion in pages. TypeSetter CMS is ideal for small sites and people without web development background, such as designers or their clients. Its cornerstone feature is the true WISIWYG editor that appears on every page of the site, to easily make changes. 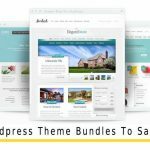 TypeSetter is also ideal for sites with limited resources, such as on shared hosting. 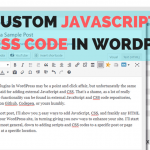 It claims to be 8x faster than WordPress, reflective of its lean and efficient code base. Flexible template language Antlers lets you format and define content your way. Built on one of the most powerful PHP frameworks called Laravel, Statamic is a speedy CMS that leverages the flat file architecture to provide an ultra secure, efficient way for working with text files, markdown, textile, HTML, CSS and their own unique template language called Antlers. Through Statamic’s Asset Manager, you can see your assets’ meta data, preview videos and document types, and customize fields through simplified alt tags. 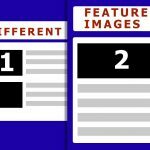 This allows for easy to manipulate image editing and categorizing, fit for photography websites. Pulse CMS’s approach to managing content is rather unique in that it can be integrated into any live site, by dropping some tags onto each page to make them editable. Add-ons such as forms, paypal carts, and image galleries make it easy even for beginners to extend any page with the desired functionality. Pulse basically provides a central location to make all content changes on your site. To modify content, simply edit the corresponding text file in the admin panel, using regular HTML. Installing Pulse is also a simple affair, by uploading folders to your server. The platform prides itself on being seamless, easy to update, and lessening the amount of training for clients. When it comes to selecting a CMS, don’t just blindly follow the herd- make a list of your main requirements, and choose the CMS that best fulfills them. If your #1 priority is a platform that scales well even on shared hosting, is secure without constant updates, and comes with a no frills admin panel to add and manage content, Flat File CMS is often times the best choice. High traffic static sites in particular come to mind as ideal candidates for migrating to a flat file CMS instead. Do you currently using a Flat File CMS? What do you consider the best one currently in the market? Comment and share below. Credits: This post was contributed by Jon Muller at Ergonomic Trends, where he writes about and reviews the latest ergonomic products such as office chairs, split keyboards etc.